Saddle up partner! 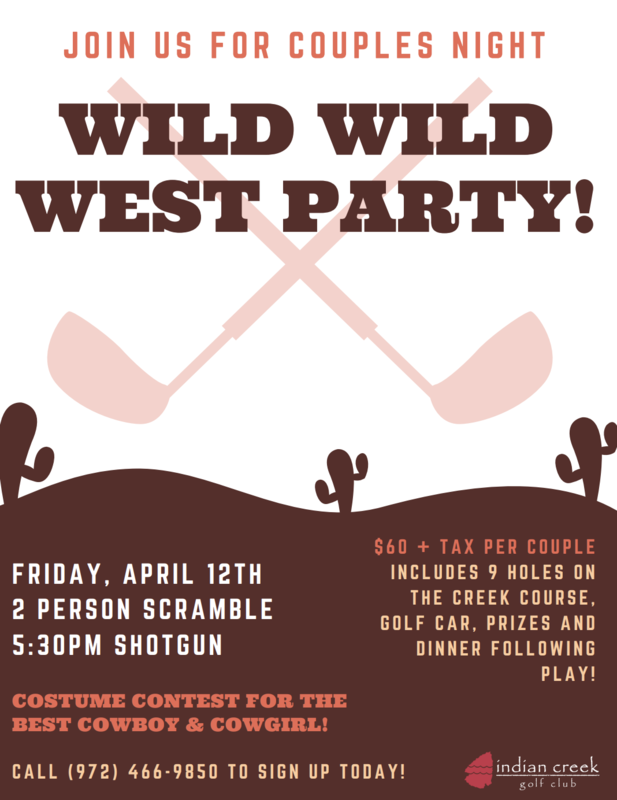 Throw on your cowboy hat and compete in a fun 2 person scramble followed by dinner! Keep the Cinco de Mayo celebration going! 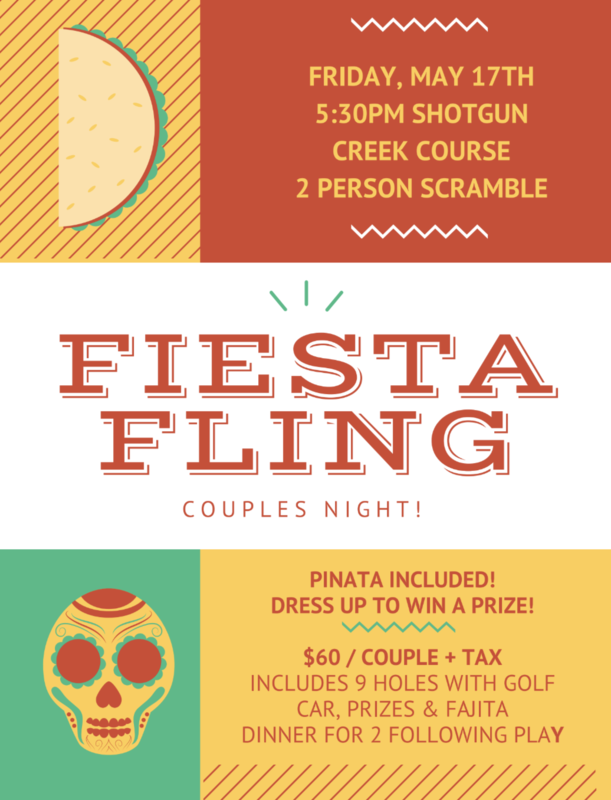 A fun 2 person scramble followed by a Fajita dinner and pinata! 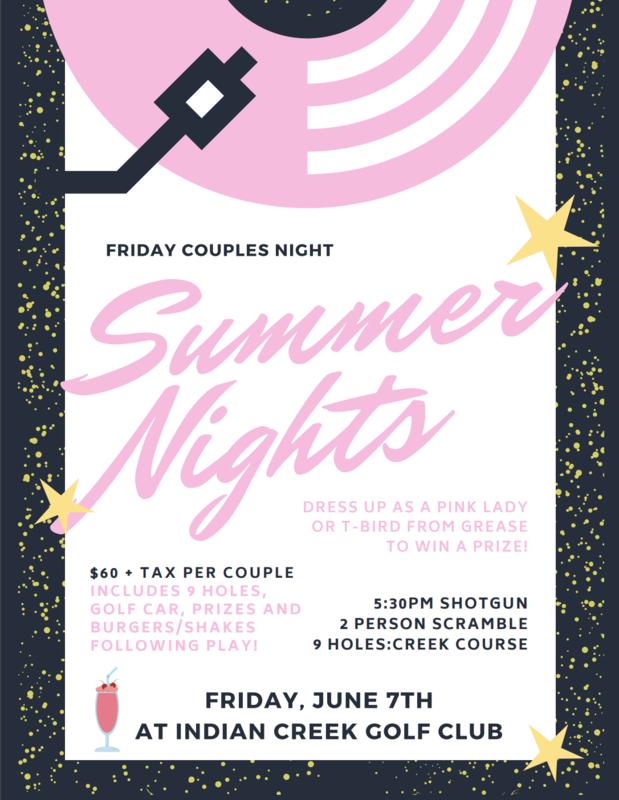 Calling all pink ladies and t-birds... Join us for a night of burgers, shakes, and golf! Kick off your weekend with a BANG! 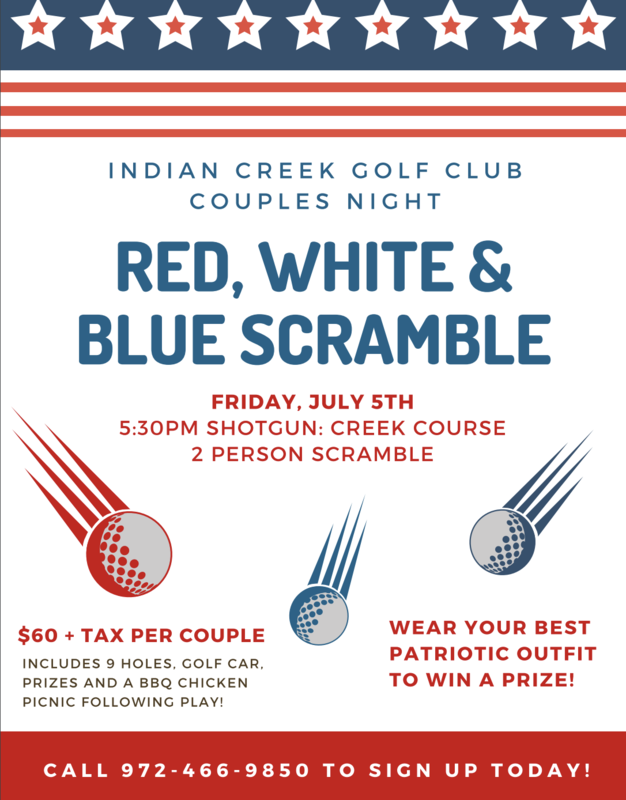 Play in this fun 9 hole, 2 person scramble followed by a BBQ Chicken picnic! 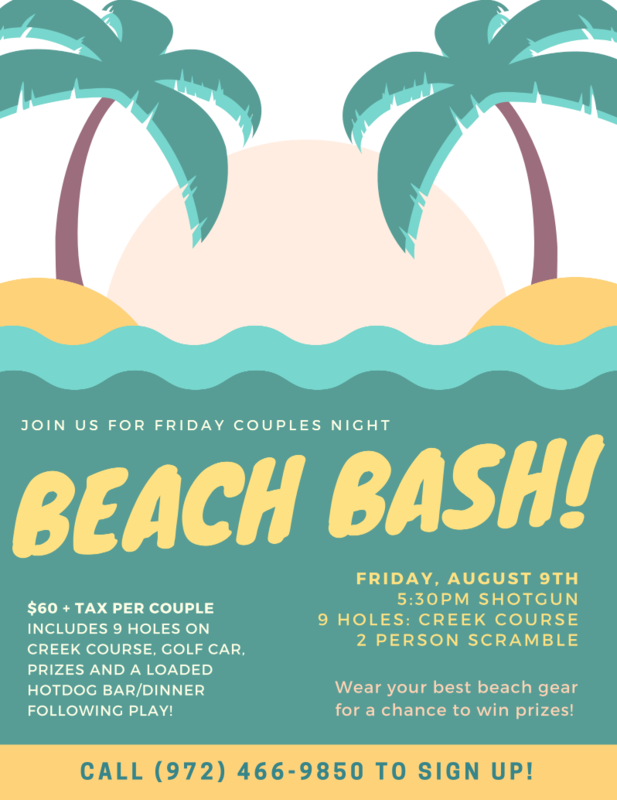 Wear your best beach gear and have fun scrambling and competing in sand trap contests followed by a hotdog bar dinner! Don your best Hawaiian shirt and leis! 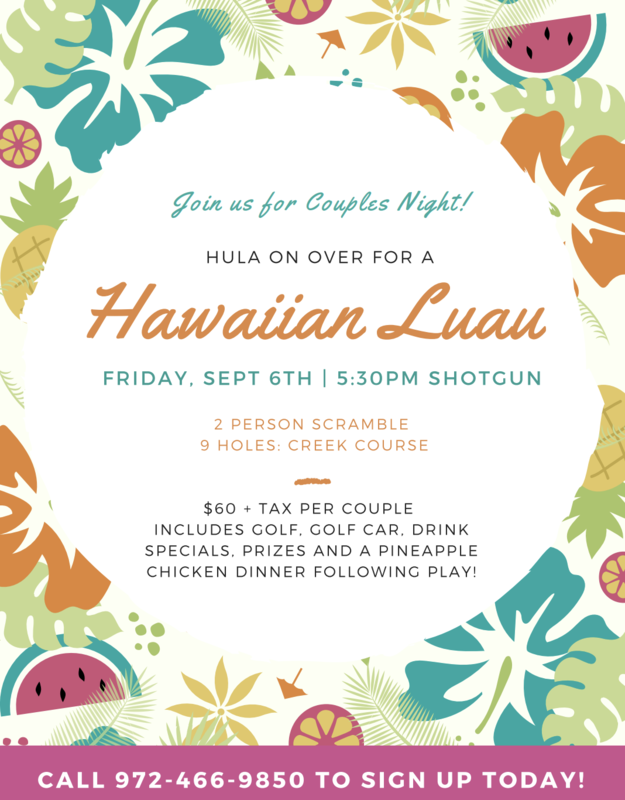 Play in this fun 9 hole, 2 person scramble followed by a Pineapple Chicken dinner! Stop by the Golf Shop or Call 972-466-9850 to Sign Up!